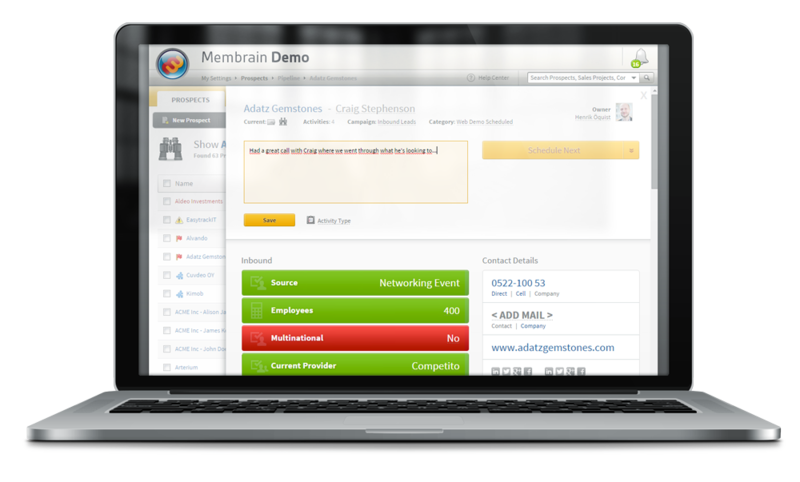 Membrain allows you to integrate educational information, collateral and guides in the right context - your sales process. This helps all your sales people to increase their skills from hire date through every deal they work. Membrain allowed us to start giving effective support to the sales people and sales managers straight away. Consider Membrain a tool to develop their skills.